It was the last Board of Regents meeting of the fiscal year, so goodbyes were in order for those departing the state’s largest public college system. First there was a poem and gift for Estela Lopez, who stepped in as the interim provost amid turmoil over the departure of the last provost more than a year ago. She is retiring. 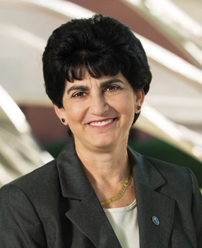 And then there was a sendoff for Mary Papazian, the president of Southern Connecticut State University. She’s leaving to become the president of San Jose State University. 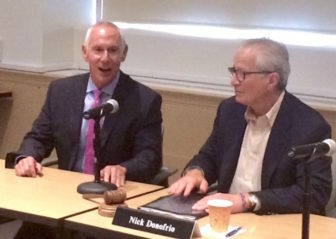 Not mentioned amid all the expressions of gratitude for their work and how much they will be missed was the person running the meeting – Board of Regents Chair Nicholas M. Donofrio. 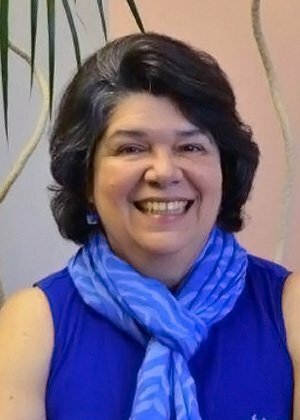 Retiring Interim Provost Estela Lopez. On Thursday, Gov. Dannel P. Malloy announced Donofrio would be stepping down on Friday after four years on the board, a decision Donofrio reached in the two weeks since the Regents meeting. It was not an easy choice, said Donofrio. Donofrio said the biggest accomplishments during his tenure have been keeping the school affordable and helping the credits that students earn at one school transfer seamlessly to another school in the system. It hasn’t always been easy. Donofrio took over as chair of the board in 2012 after the governor asked the former chairman to step down following a series of controversies. It’s been pretty tame since then, though faculty have taken issue with Donofrio from time to time, including during negotiations for a new contract. Gov. Dannel P. Malloy immediately thanked Donofrio for his service and announced Matt Fleury, president and CEO of the Connecticut Science Center, as his successor. A new provost also has been named. She is Jane Gates, who has been the provost at Western Connecticut State University. A search has been launched for a new president for Southern.